More than four months since a crackdown on protests took place in Jaw Prison, the Gulf Centre for Human Rights (GCHR) is seriously concerned about the treatment of prisoners who were hurt during the incidents in March, notably human rights defender Naji Fateel, a Board member of the Bahrain Youth Society for Human Rights. In addition, human rights defender and blogger Dr. Abduljalil Al-Singace has been on hunger strike for over four months in protest of the treatment of prisoners, causing serious concerns for his health. Fateel is currently being held in ward 10 at Jaw Prison, which is famous for harassment of prisoners. 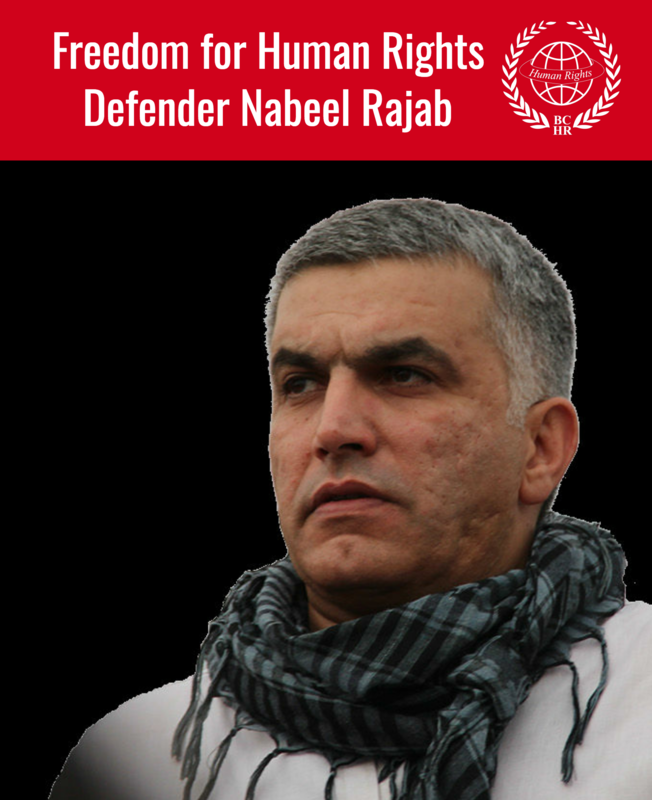 He has reportedly not received proper treatment for his injuries even though he and his wife submitted several complaints to the General-Secretariat for Grievances in Bahrain, from which there was no response. On 23 July, Fateel appeared before the 4th division of the High Criminal Court in relation to the Jaw Prison protests on 10 March. Fateel was transferred to the court where he was spotted with a shaved head, a procedure usually used to punish prisoners. He is accused of the following three charges: alleged assault of a public servant, damage to public property, and burning public property. The hearing was adjourned to 17 September. Dr. Al-Singace remains in Al-Qala’a hospital, where he has been kept since 1 April after he collapsed due to the deterioration of his health since he began his hunger strike. Dr. Al-Singace is taking liquids, is on an intravenous drip and getting basic treatment to respond to the health implications of the ongoing hunger strike. 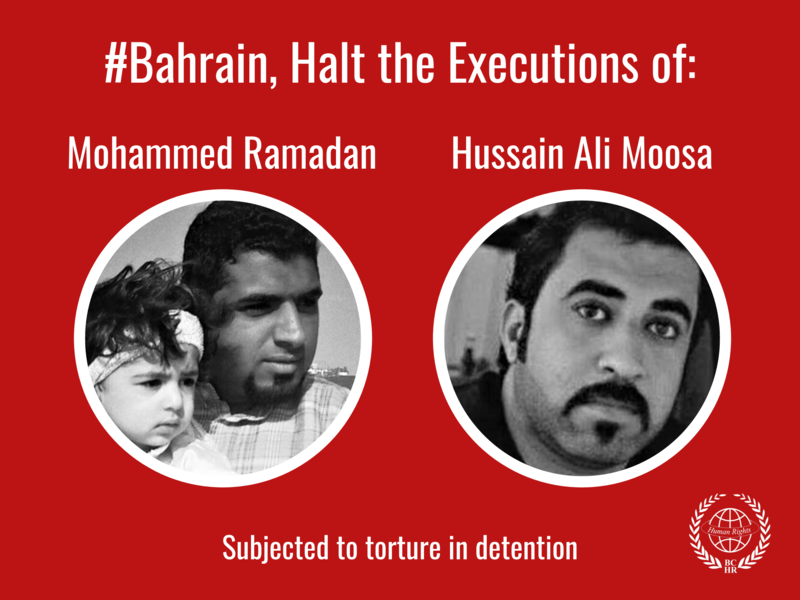 His family says hesometimes needs to be taken to Bahrain Defence Forces (BDF) hospital for treatment, but they won’t take him because he refuses to wear the prison uniform. He is in need of treatment for a sore disc in his neck and lower back for which he needs physiotherapy, needs urgent surgery for his ear and nose, and requires a white blood cell count test. As of 22 July his white blood cell count was 3400, whereas it should be 3800. As well, the prison authorities in Jaw Prison set the visit dates for Dr. Al-Singace according to their whims. They sometimes set visits after three weeks and not the standard two. His nephew passed away and the prison authorities refused to give him a condolence visit for it. They are also not allowing him to see his lawyer. The prison authorities came up with new regulations and tried to force the Bahrain 13 to wear the prison uniform (which Dr. Al-Singace refuses to wear because he believes that he is not a criminal, but a prisoner of conscience.) Previously he stopped receiving visits for 10 months in 2013-2014 because of this requirement, which Al-Khawaja has also protested. The prison authorities also tried to implement the humiliating physical body search, where prisoners are forced to take their clothes off and wear a light piece of cloth in order to be searched. 1. Take action and sign a petition posted online by PEN International for Dr. Al-Singace at http://www.pen-international.org/newsitems/bahrain-serious-concern-for-the-health-of-academic-activist-and-blogger-dr-abduljalil-al-singace/. 2. You can also send a letter to Dr. Al-Singace in prison via this link.